Waldsterben is being streamed on both Amazon and Pantaflix and can be viewed now by clicking the buttons below. 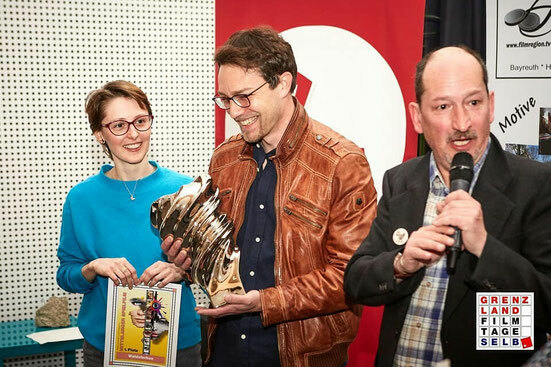 The film Waldsterben , in which Melania plays the female lead, won the prize for the best mid-length film at the Selb film festival, Germany. The winners have been chosen by the audience, which makes it even more thrilling! The film Waldsterben in which Melania plays the female lead, is set to premiere at the Short Film Week Regensburg, Germany, on the 15th March at Ostentor Cinema, 9 p.m.
Waldsterben will be screened at the International Grenzland-Filmtage Selb, Germany. The festival takes place in April 2018. Exact date and time of the screening are about to come. Melanias FIRST SHORT FILM, "FOREVER", as both an ACTRESS and a DIRECTOR, is now available on OpprimeTv. Click the BUTTON below to view the film!